“There is an important strategic element to my role – creating development plans and exploring ways to drive the commercial growth of JTL, for example. But I think the biggest challenge is one of leadership. I am responsible for twenty home-based staff across my region. They don’t just see me as their key point of contact. They rely on me to set clear objectives and give them operational support and guidance. If there’s an issue in one of our training centres, or a query over exam registration, it’s often down to me to resolve it. I certainly need to make sure that my team has the knowledge and skills to achieve what we expect of them. Some of that can be done informally, but we also have regular reviews to identify their training needs and build on their individual strengths and aptitudes. Ultimately, my performance has an impact on how well they manage relationships with apprentices, colleges and employers. 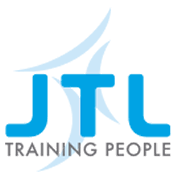 As a Regional Manager, I am also able to contribute to the wider development of JTL – sharing best practice with my colleagues, for example, and identifying opportunities for growing the business. So you definitely need a good commercial brain as well as the confidence to engage with employers and actively promote our training services and range of other consultancy offerings.